I hope this blog finds you all well! So - you know how each of us have things that we need to work on inside ourselves? Well, to be honest – one of mine is patience. The last couple of years have well and truly shown me that it would appear I’m not the most patient person in the world and this is an area I need to improve on! It’s often said that if you want to learn patience you’ll be given things that will make you impatient. You’ll be put in situations that require you to exercise that skill. So, in the wake of this realisation I reckon God moved me to Dubai to lovingly teach me a thing or two about what it really means. Etisalat (the local phone and internet provider) comes to mind as the first run-in I had on this issue, followed closely by everything from grocery store visits to car purchases. I can honestly say I left Dubai feeling like I had done well with the challenges set out before me and had learnt that lesson good. Next please. Anyways, it just so turns out that apparently the lesson isn’t over yet. Queue, Uganda. It would seem that this game has multiple levels on which I am now trying to pass Level 2! It would also appear that where the first level focused on mentally waiting for things to happen and fall into place, the next level involves actually physically waiting for everything from a bus ride to a phone call to an email to waiting for a service or production to begin. Wherein I thought patience was a 15minute job and putting up with a slight inconvenience - it turns out God thinks its a good idea to test me in this by watching me sit in a carpark for 3 hours and wait for a lift home a couple times a week! During my first few weeks here this really drove me insane, but each day I’m here I find myself gaining ground. Im nowhere near out of the woodwork yet and Im sure tomorrow will be a 4 hour wait just because I’ve written this but I wanted to share this with you in the hope that you would be encouraged in your walk with patience. While I’m over here waiting for a ride home you might be waiting for an answer on a job interview, or waiting on finding the perfect house, waiting on meeting Mr or Mrs Right. Each of us have different things we are waiting on and I just think the lesson to learn is not about the end result but rather how we handle ourselves and what we do with our time in the in-between. And with all this time I’ve had to think - Tim and I have been dwelling on what we believe our role is when it comes to Africa. 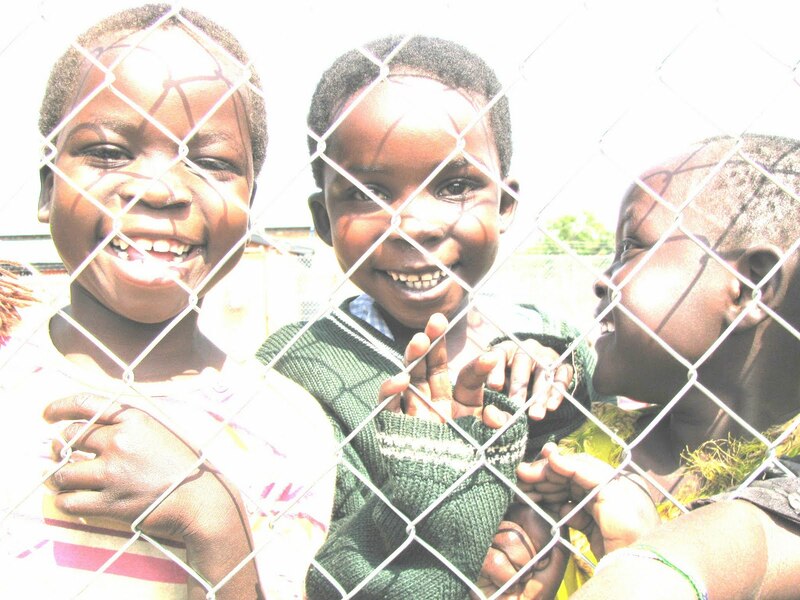 I strongly believe it doesn’t matter who you are, religious or not – there is no denying that there are orphans to rescue, children to feed, families to encourage and people to come alongside in Africa. This continent is heaving with small and large issues, many of which are simple to solve and many of which are complex. My belief is that each of just need to play our part. So whether that means you are an amazing builder, knitter, teacher, pilot, secretary, nurse, marketing professional or university student -I believe we have an obligation to do something. I don’t think you need to come and live in Africa and give your whole life over to the cause but I do believe we should do something. It might mean coming here to build a house with Habitat for Humanity, it might mean sponsoring a child and visiting her or him one day, it might mean coming to teach for free, it might mean sending over computers for a small school in the middle of the Congo or it might mean knitting jumpers that you and your girlfriends lovingly made to keep babies warm this winter. Whatever it is – its significant and its needed. What you have in your hands, the talent you hold is worthwhile and its vital that we each do what we can. I guess the purpose of what Im writing is that I just want to encourage you to consider what you might be able to do with whats in your hand to help another. There are hundreds of countries that need financial, medical and governmental aid but Uganda is the one that touches my heart. What third world country touches yours? Did it ever cross your mind that they might need you? Lots of people have told me that I need to write down all the things I am thinking about Africa as I see them unfold and before the novelty and fascination of it has drifted away. So, in response to this I have spent the last month thinking about what Africa is to me. Africa is potholes and beautiful black babies, its walking wherever you need to go, its clay colored red dirt that stains my white “Mizongu’ skin, its hugs and kisses with complete strangers and receiving genuine smiles amidst heartbreaking poverty. Africa is mosquito nets and malaria pills, its buying Coca Cola for 40cence and then sharing it with the village children sitting beside us, it’s having lots of time on your hands and learning to be ok with that. Africa is our shower with no ‘hot’ or ‘cold’ water tap, just water, its learning to live with power cuts every day, its spending your entire Saturday just doing your grocery shopping, its riding a boda boda motorcycle in rush hour traffic and tucking your knees into the man steering so you don’t knock off any side vision mirrors. Africa is patience, its learning to be content and just wait, its rejoicing in the small things, its the sound of drums late into the night and the precious sound of a hundred voices greeting the day early in the morning. Africa is freakishly large insects, monkeys and brightly colored lizards, its seeing your husband re-live his cherished childhood memories, its feeling scared and knowing that God’s got us covered, its inspirational, its a place where you have time to dream again, really dream. Africa just is what it is. But to me, it’s the epitome of love at first sight. This is really inspirational Helen. I hope to go back to Sudan one day and do the same. Thank you for sharing.